Posted November 21, 2018 by Mitch Hitch & filed under City Hub, Featured City Hub. A recently released research paper claims Australian public housing is in crisis with a shortfall of 433,000 social housing units across the nation and 36,000 new units a year needed over the next 20 years to meet demand. Published by the independent Australian Housing and Urban Research Institute, the paper also suggests that direct government funding is the most efficient and cheapest way to achieve these goals. The study says that NSW accounts for 30 per cent of Australian social housing needs and that 141,000 new properties are needed across Sydney. “In NSW the pathway to affordable housing is under stress and the government doesn’t do anything about it,” Dr Laurence Troy, co-author and research fellow, City Futures Research Centre, UNSW said. In many European countries social housing accounts for more than a fifth of new housing stock, including across the UK, Finland, France and Austria. A city of 3.5 million, Berlin has 250,000 people living in social housing across 125,000 apartments and the Berlin Senate recently reduced rents by up to 25 per cent as the cost of living impacted on tenants. Australia’s public housing consists of around 304,000 out of a total of 7.1 million dwellings, or 4.2 per cent of all housing stock. Public housing in Australia is a matter for the states, and in the case of NSW, Family and Community Services (FACS). “The NSW Government is undertaking the biggest social housing building program in the country,” said a spokesperson for FACS. Tell that to people on the waiting list, which across inner Sydney can be more than 10 years. FACS’ own website says that waiting lists in Marrickville are 10 plus years for one bedders, 10 plus years in Newtown and 10 plus years in Bondi. The site also says that as of 30 June 2017 across NSW there are 51,453 people on the waiting list, of which 4,496 are categorised as priority. One inner Sydney community housing provider, who cannot be named as she did not have time to clear her statements with her board said “There has been an obvious lack of funding for new supply and keeping properties up to standard in recent years. St George Community Housing (SGHC) is a major provider across the inner Sydney region with 4,800 properties in the metropolitan area. They have currently embarked on three projects with the City of Sydney to bring affordable housing into the inner city area. 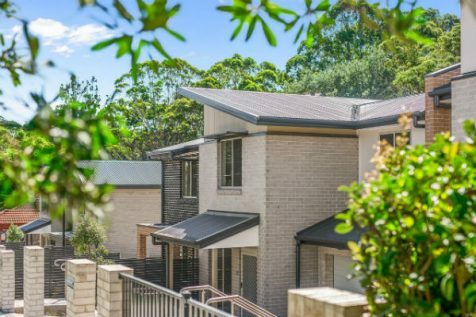 At 138 Botany Road, Alexandria, along with the City and the Clean Energy Finance Corporation SGHC is developing 130 households in one, two and three bedroom configurations. At Foyer Central, in the Sydney CBD, along with the City, FACS, NSW Office of Social Impact Investment, Uniting and Social Ventures Australia they are developing mixed affordable and social housing for key workers and young people at risk. Late last year SGCH and the City purchased a council site in Gibbons Street Redfern to build 160 affordable and social housing units. The City of Sydney has now provided close to $20 million in subsidised land sales for affordable housing as recent figures show that the City has lost 20 per cent of its key workers due to the housing affordability crisis. “In the inner city there is a lack of supply and the high cost of land makes it difficult,” a housing provider said. Dr Troy suggested that raising long term bonds at a time of record low interest rates may be a way of state governments funding a major burst of building. “They could raise money much more cheaply by raising debt but they haven’t, Dr Troy said. On Tuesday the Leader of the Opposition, Mr Bill Shorten addressed the Community Housing Industry Association saying, “We will create a debate about community housing and affordable housing because we believe that is why governments should govern. Providing safe and secure homes for its people to live is one of the fundamental tasks of any government so let’s hope someone is listening.